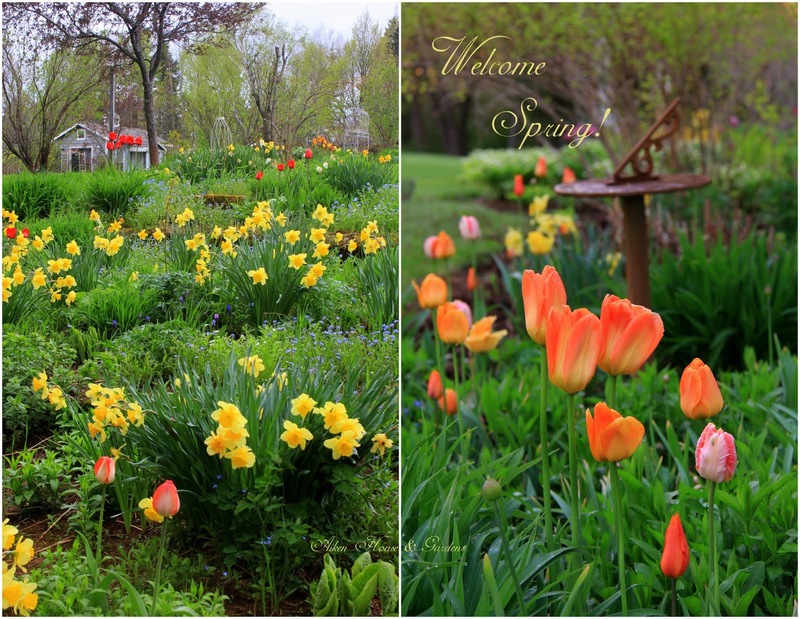 Aiken House & Gardens: Welcome Spring! I am always excited to welcome spring! but still we know spring is on the way! spring color in our garden soon! Gorgeous china and adorable tulips! Everything looks so "Spring" and wonderful! Love the tulips! 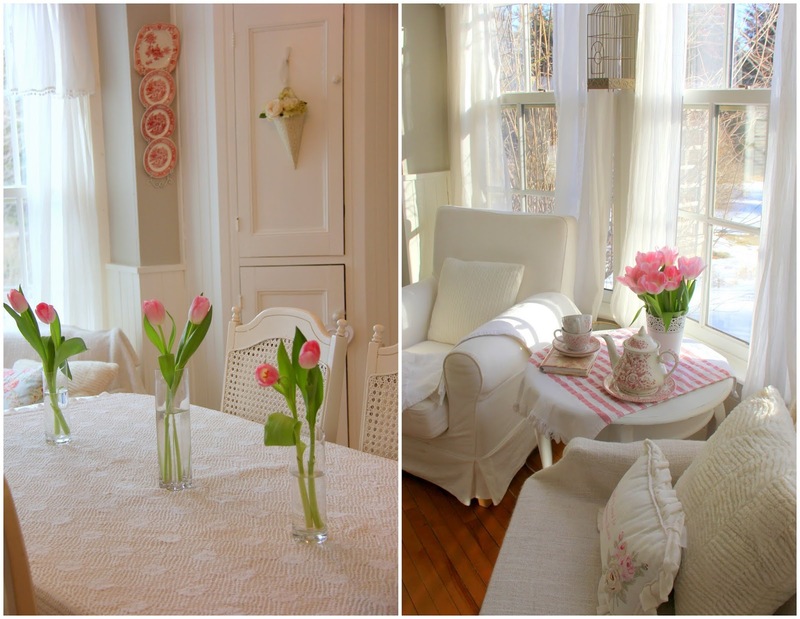 I love the look of your tea table in the bay window. I can't wait until Spring. Thank you for sharing. What beautiful red transferware, and the red toile tablecloth is lovely Too. Your Spring garden is absolutely breathtaking! Thanks for sharing and Happy Spring Carolyn! I love the gentle colour of these tulips. Oh I do wish it was spring..I too would love to be in the gardens... You place looks so refreshing and spring like... it is absolutely delightful ...Thanks for sharing. Such a beautiful spot near your windows! Looks like spring already! Happy Spring! I love the tulips, so fresh and the color is so beautiful! I love your outdoor display of daffodils and tulips! How lovely the vases of tulips are on your table. I am looking forward to seeing all of your spring color in your garden too. I am so happy I discovered your blog today! Your home is beautiful and is so peaceful. I love all the white that is perfect for Spring! Such sweetness in your dainty vases and beautiful shades of pink. Wishing you and your family a very happy Easter and a wonderful Spring!